With St. Patrick’s day just around the corner (it’s Sunday–get your green outfit ready or be prepared for some pinches! ), we’re feeling inspired by this luckiest of holidays. 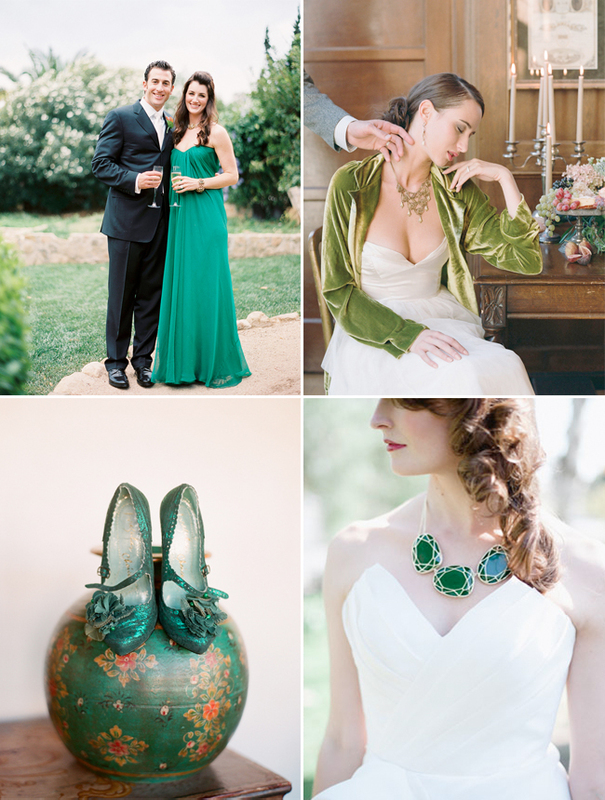 Of course, St. Patrick’s Day and green go hand in hand, and there are also shamrocks, rainbows and more–plenty to draw ideas from for a fun and unique wedding! 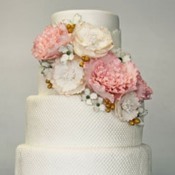 You don’t have to get married on March 17th to use these ideas either…they’d be perfectly pretty any time of year. Of course, being girls, the first thing our mind jumps to is the fashion! Emerald green is really on-trend this year (it’s Pantone’s color of the year, as you may have heard)…it goes perfectly with bridal white too. If you’re feeling bold, we loooove the idea of a flowy green wedding dress. Or if you’d rather stay a bit more traditional, accessorize a white dress with a green jacket, sparkly shoes, or a statement necklace! 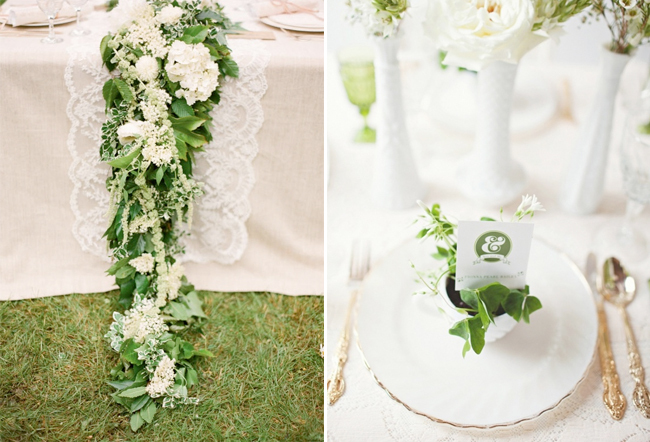 Green and white is one of our absolute favorite color schemes when it comes to the table. There are so many options in nature for this color palette too! We love the idea of a runner made out of greenery. Little potted clovers at each place setting are so cute too–a perfect way to add some subtle (and classy) St. Patty’s flavor. 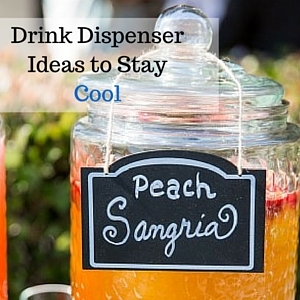 If you’d rather go the rainbow route, there are a plethora of fun ideas. Make sure to balance all the bright colors with some neutrals. Rainbow bridesmaid dresses is an idea we’ve loved for awhile! 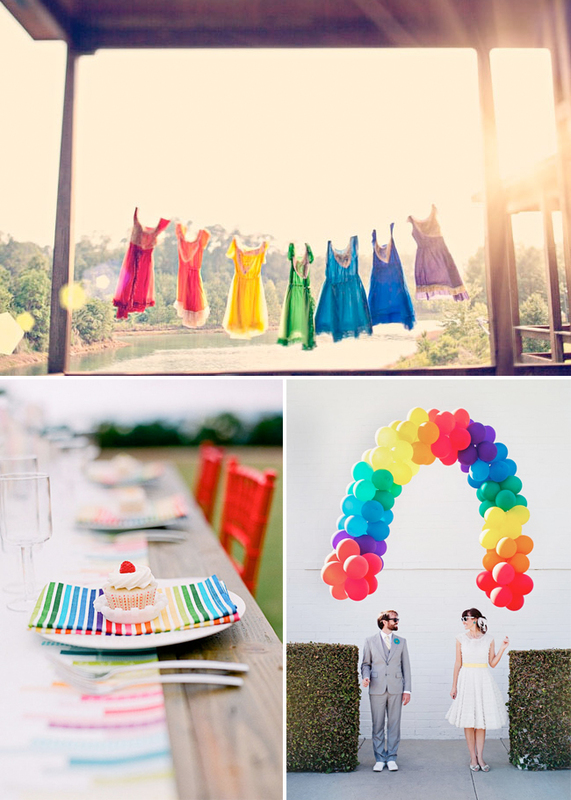 Or how about a colorful striped napkin–or a “rainbow” made out of balloons to greet guests as they enter your venue? 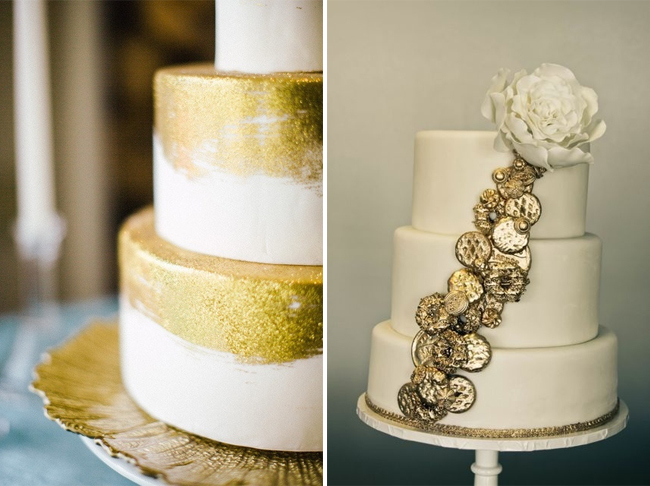 You can also draw inspiration from the “pot of gold at the end of the rainbow.” We’re loving these gold wedding cakes—the one on the right looks kind of like it has gold coins on it! 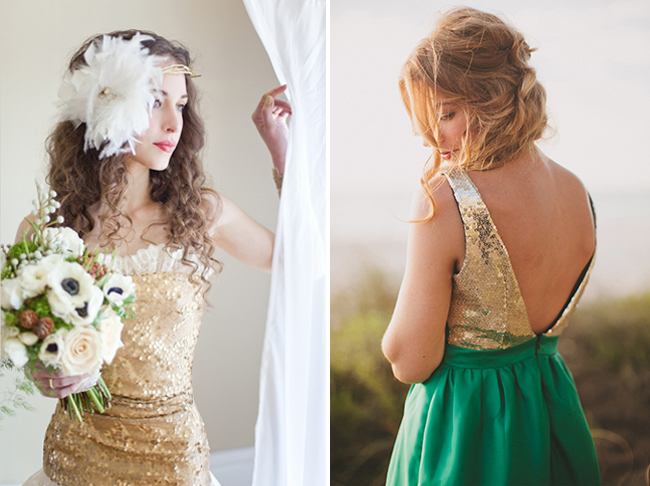 A gold dress would also be so lovely…or how about one with gold and green? Would love to know where the green and gold dresses are from. Thanks. Specifically the one on the right, gold top, green bottom. 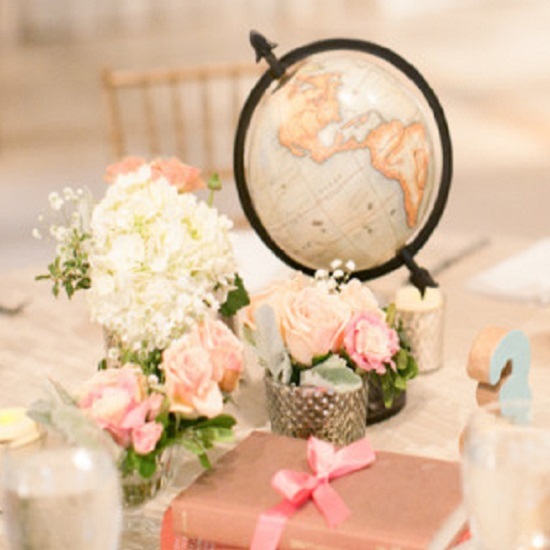 Love that garland on the table–gorgeous!